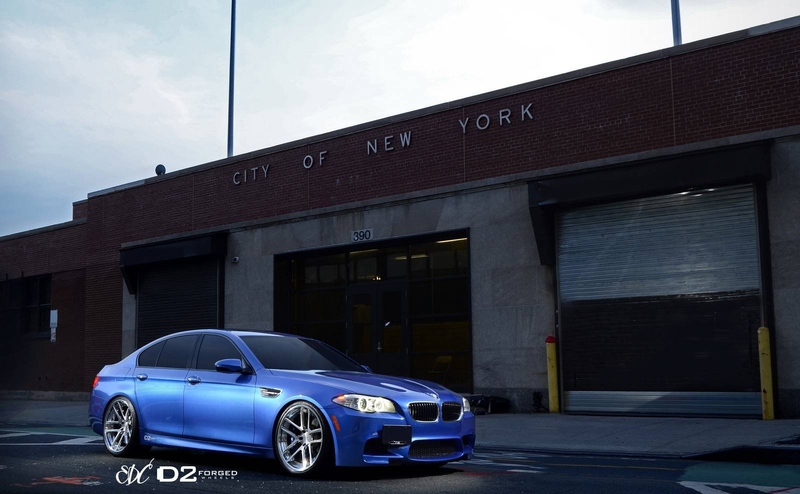 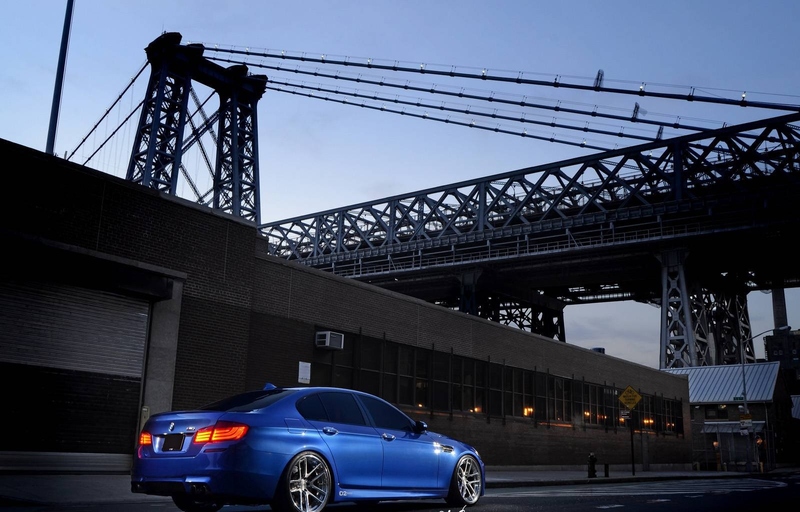 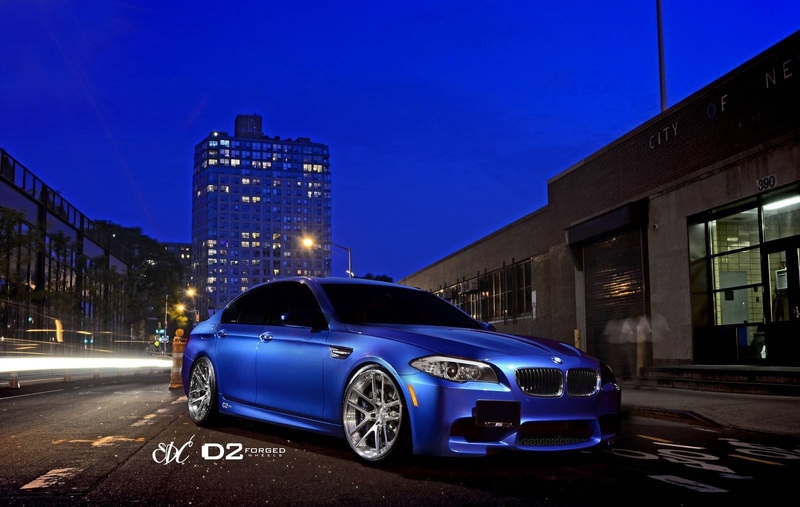 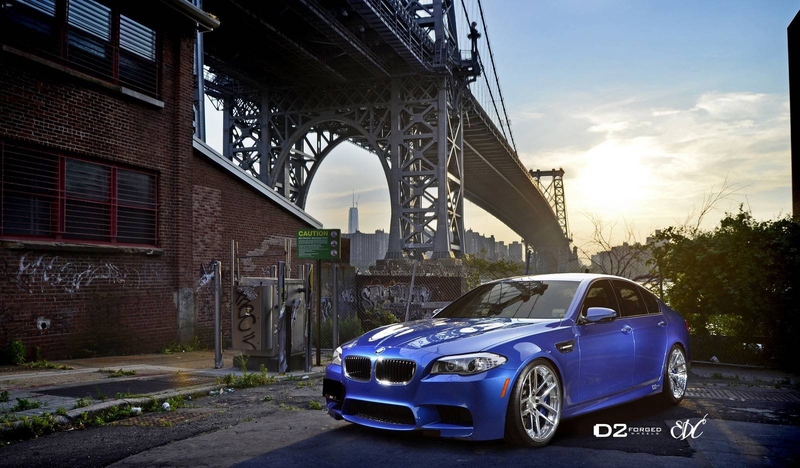 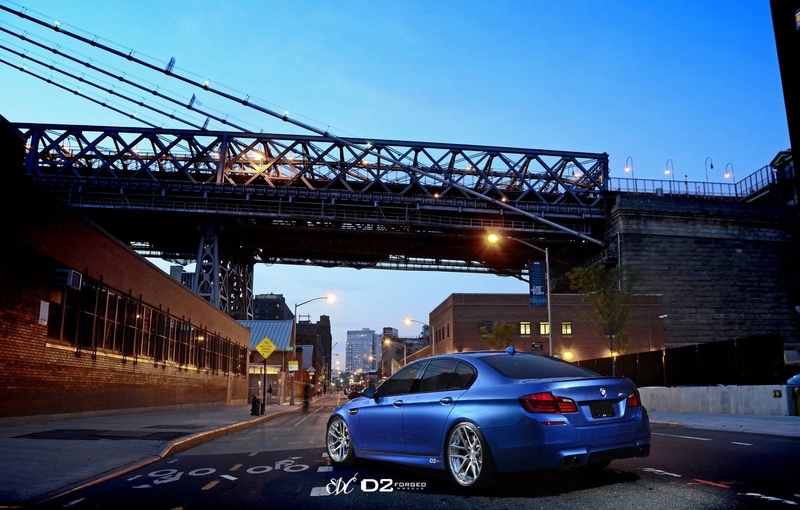 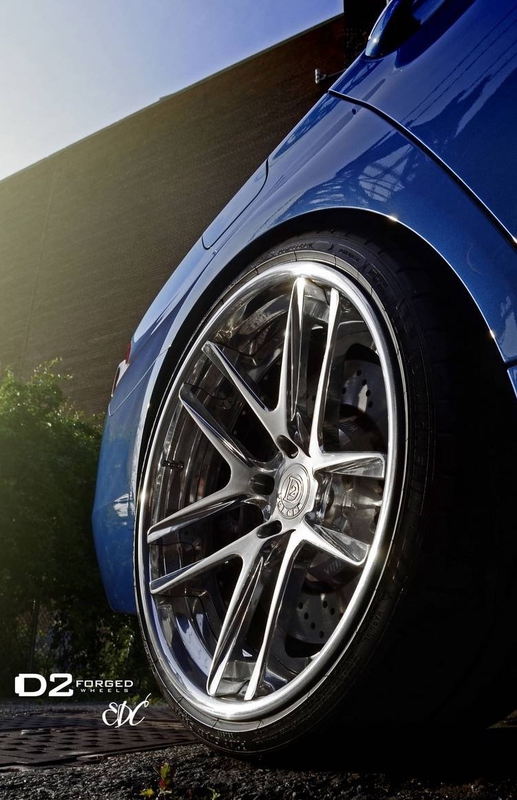 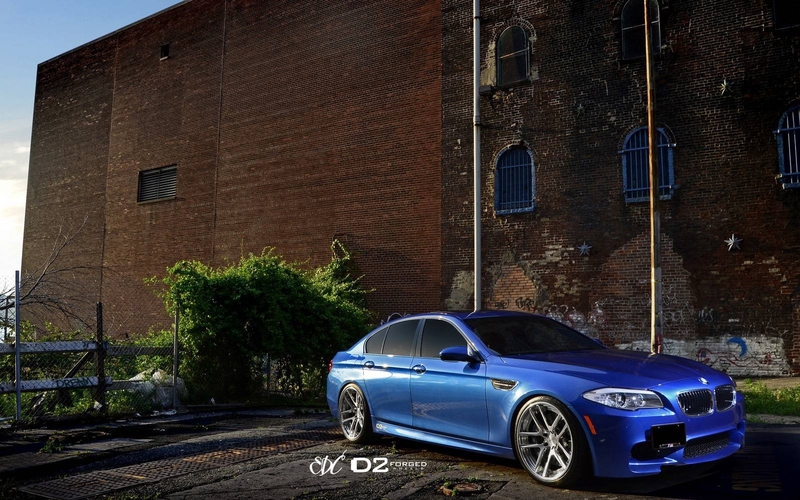 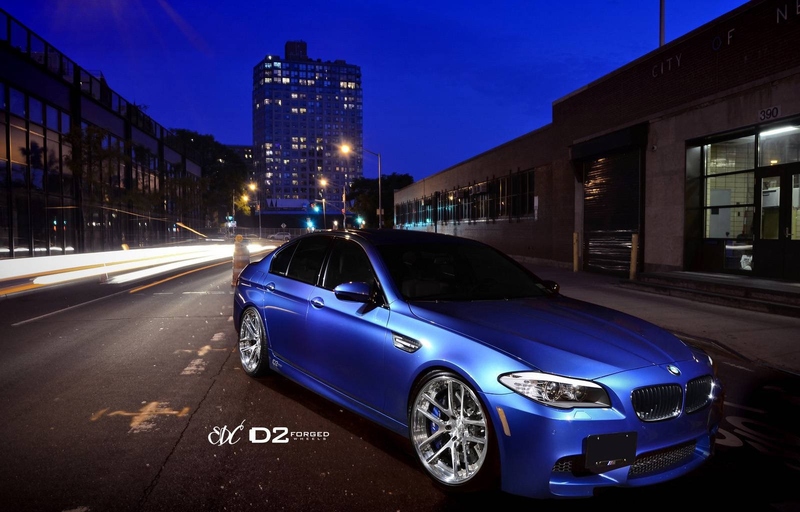 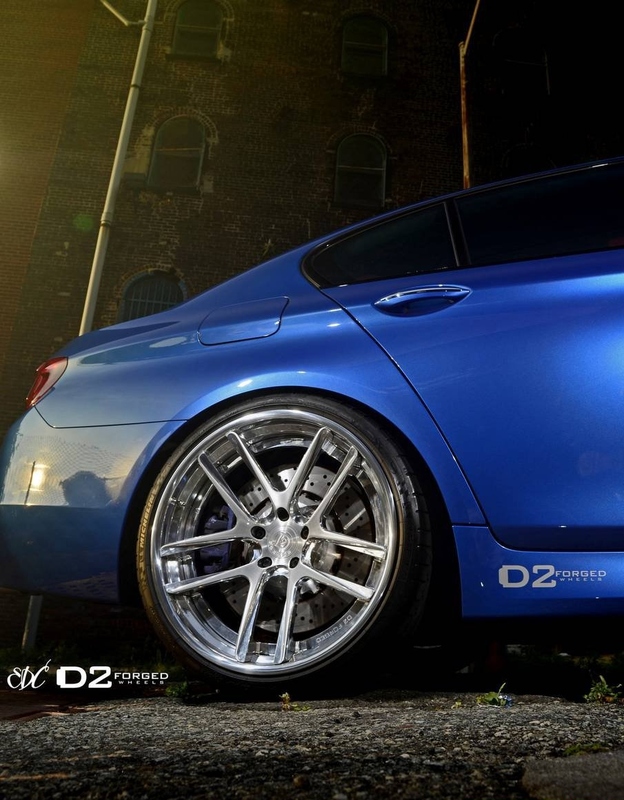 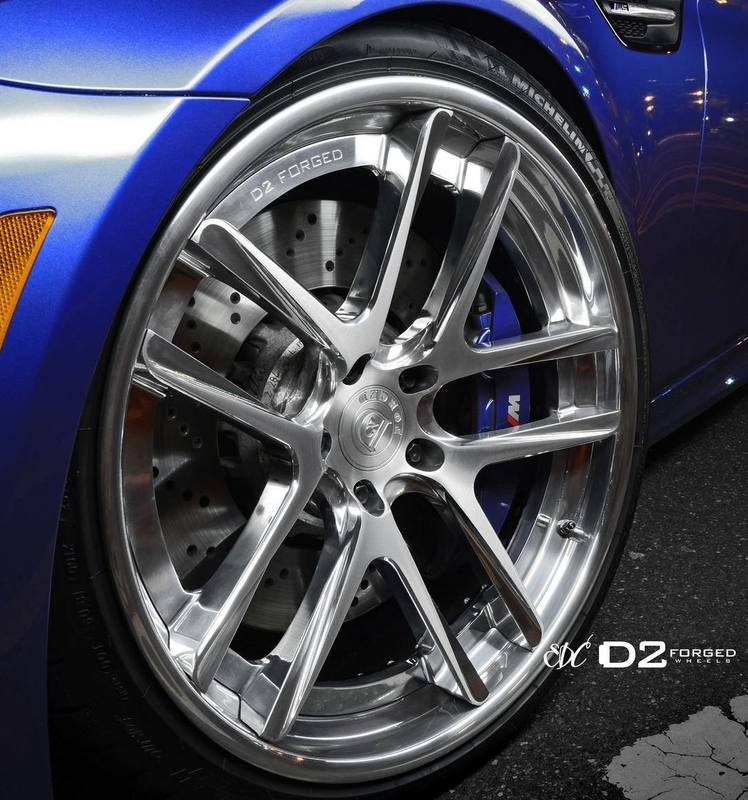 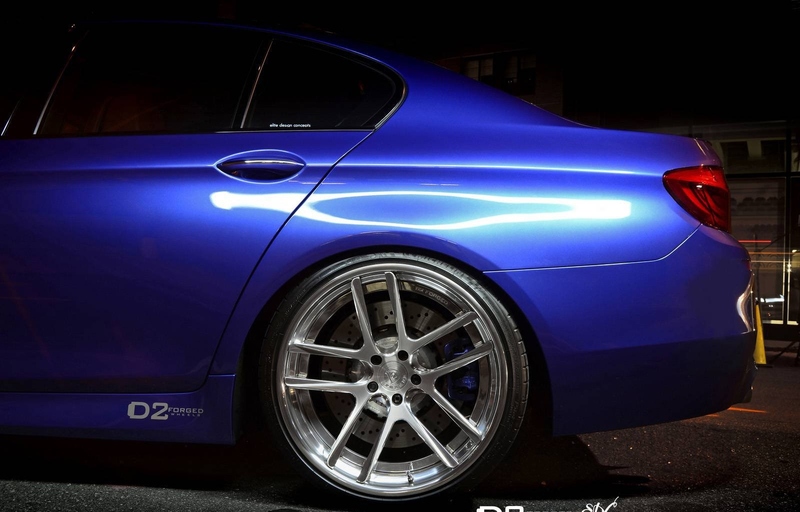 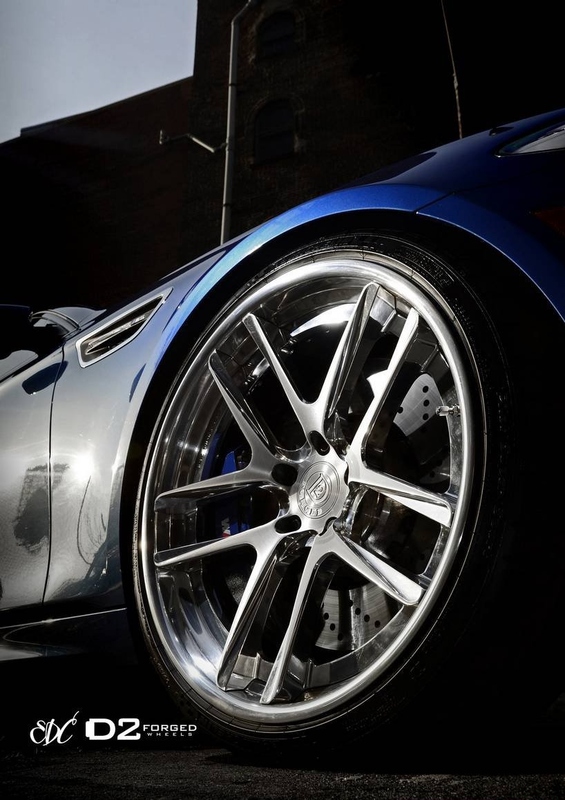 One of the last projects of D2Forged Wheels is the BMW M5 F10. 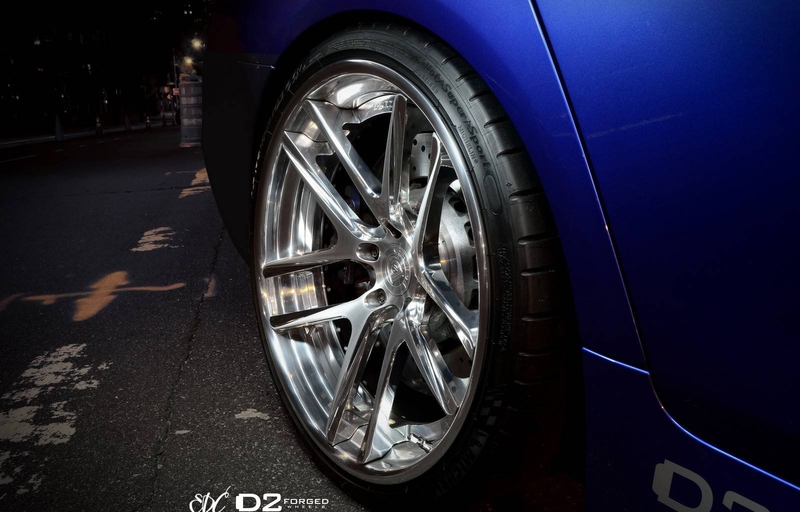 For this car the team used new 21-inch CV8 wheels with a chrome trim and brushed aluminum face, that match well with Blue Monte Carlo body paint. The BMW M5 F10 is equipped with a twinturbo V8 560 hp; top speed is limited to 250 km/h but it can reach 305 km/h installing the M-Drivers kit. 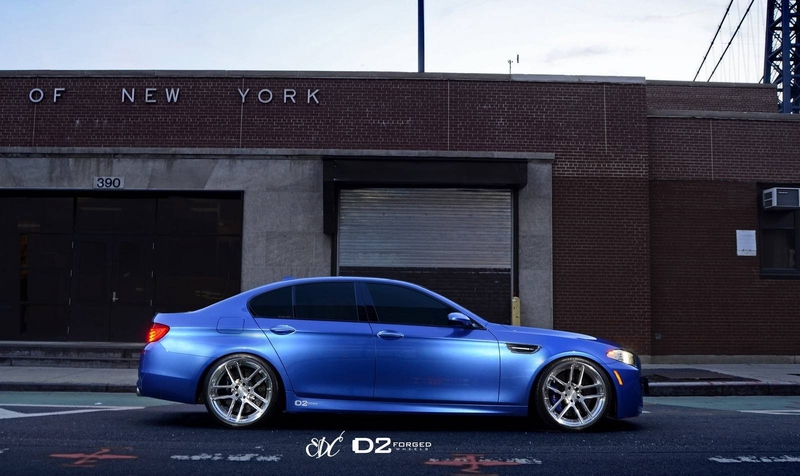 Uno degli ultimi progetti di D2Forged Wheels è la BMW F10 M5. 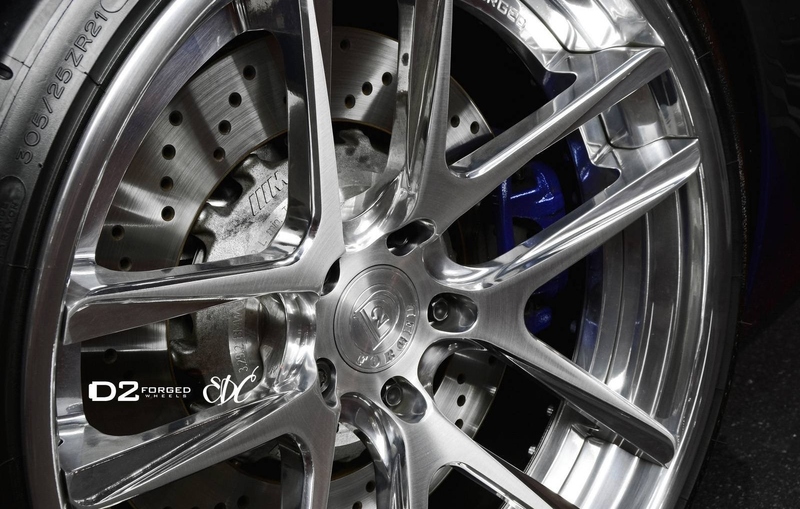 Per quest'auto il team ha utilizzato cerchi CV8 da 21 pollici con orlo cromato e rifinitura in alluminio spazzolato, che si intonano con il Blue Monte Carlo della carrozzeria. 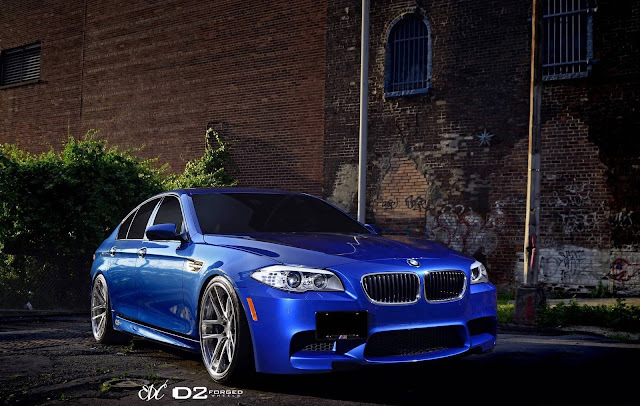 La BMW M5 F10 monta un V8 twinturbo da 560 cv; la velocità massima è limitata a 250 km/h ma può raggiungere i 305 km/h installando il pacchetto M-Drivers.